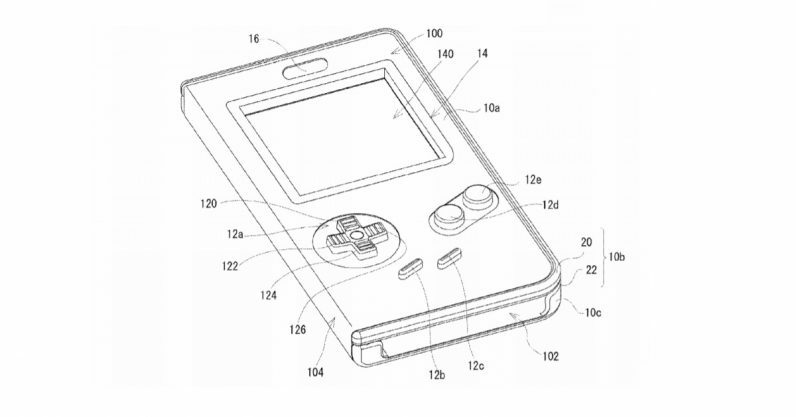 Nintendo has filed a patent for something that appears to be a case that turns your phone into a Game Boy — functioning buttons and all. The patent, discovered by Siliconera, shows a shell casing for a phone that covers all but a small portion of the upper screen. The shell has a button layout identical to the classic Game Boy. If my reading of patent language is still on point, it appears the device would work by means of a conductive sheet under the case that translates your button presses to the phone’s touchscreen. This probably doesn’t come as a total shock to see a Nintendo phone case given the sheer number of games Nintendo has released for phones. Super Mario Run, Animal Crossing: Pocket Camp, Fire Emblem Heroes, and most recently Dragalia Lost — honestly, the days when we questioned Nintendo‘s sanity for moving into the mobile realm seem like another lifetime ago. But what does this mean for the phone? Would this be just another way of playing games you already own, or would it be a peripheral for new versions of Game Boy games, to be released for phones? If so, would you be able to play these games without the case, so that it’s just a cool accessory? It would seem asinine to do otherwise. There’s also the chance this could be related to the Game Boy patent that surfaced late last year. While that patent wasn’t very descriptive, it did generate some speculation that a Classic version of the Game Boy was on its way. I’m not too keen on the idea, but even the most tepid Nintendo spitballing tends to be more interesting than anything else happening on any given day. So, I admit — I want to see where this goes.